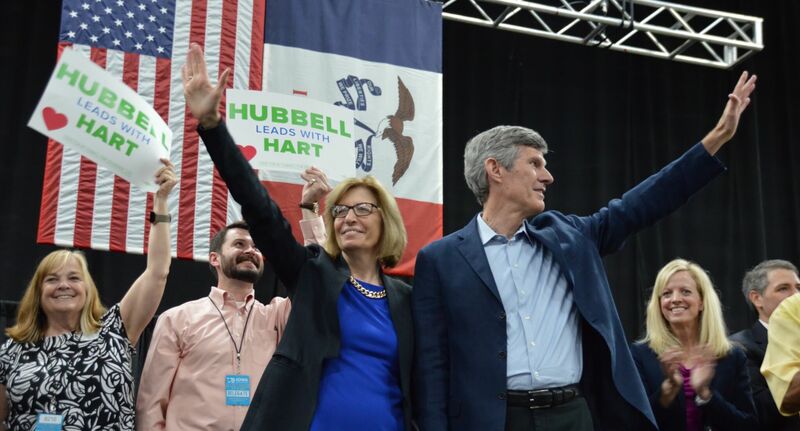 Fred Hubbell could not have made a better pick for his running mate. That’s just my opinion, of course, but I think it will become yours as well once you get to know Rita Hart. I first met Rita when I was the field director for the Senate Democrats in 2012. That was her first run for office in Senate District 49, which covers Clinton County and parts of rural Scott County. Though a first-time candidate, many of us were impressed with how sharp a political mind Rita already had. She won her strongly-contested primary by racking up lopsided margins in the rural part of her district – not the usual path for a winning candidate in a Democratic primary. I remember spending primary night at her party, following different races on my laptop while it seemed like every community member, neighbor and former student from DeWitt to the county line westward was there to congratulate her. 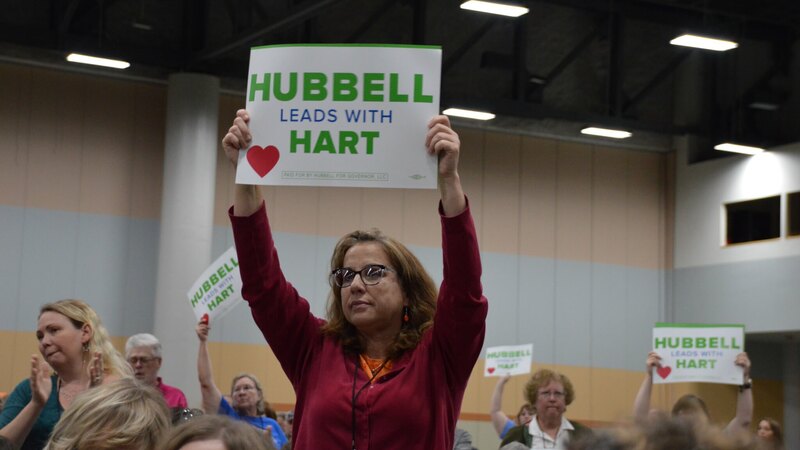 For those who weren’t at the Democrats’ state convention on Saturday morning and missed Hart’s introductory speech to the crowd, she explained where some of that skill first came from. She talked about her upbringing in Charles City in a large family (her brother is now the Floyd County Treasurer there). Rita would later marry her husband Paul (and it is difficult to decide who between the two of them is nicer), move to the rural western edge of Clinton County and have five kids. Her more than two decades as a teacher is reflected well in her overall personality. She’s a warm, friendly and compassionate person, kind of like that favorite teacher you had back in school that always took the extra time to mentor each student who needed it. And she loves to talk to people. Sometimes a little bit too much. I remember constantly stressing over just how slowly she was door-knocking her way through targeted precincts in her 2012 run. Rita was doing the work, she just insisted on talking with every person she met on the doors for literally a half hour each. She must have gotten to know every voters’ entire life story, which certainly made a meaningful connection. That was nice, though I think it did take Rita an entire six weeks to knock her way through precinct Clinton 3-2. But that’s what makes her real. 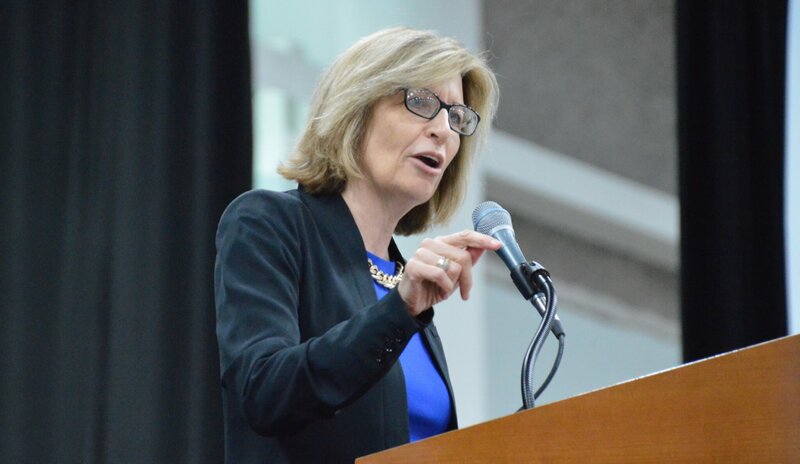 And for a party that has struggled to connect in a personal way with voters in rural Iowa, someone with a relatable, engaging personality is what’s needed to make inroads. And it obviously helps that Rita co-owns and runs a family farm with Paul, giving her serious credibility on agricultural issues. I recall several times talking to her where she rattled off all kinds of facts about seed prices, drainage ditches and market fluctuations that went way over my head. It will take some time for the rest of the party and the broader general electorate to get to know Rita. She didn’t have a really big profile before this nomination, nor did she get in the press much in the Senate. Anyone who saw her in committee meetings or at legislative presentations came away impressed, and folks behind the scenes saw a lot of potential in her. I noticed when she began to show up at more political events, including last year’s state convention and the national convention where she was a delegate for Hillary Clinton (and helped calm nerves between the Clinton and Sanders groups there). Not a lot of legislators show up to these things, so it’s notable when certain ones do. Rita also took a lead on clean water efforts this past year, putting together a water quality summit on her own out in DeWitt, inviting leaders and experts to come together, bridge divides and come up with solutions. She’s show plenty of leadership skills and initiative that it’s unlikely we’ll see her take the glorified intern, stand-over-the-shoulder role that Kim Reynolds took with Terry Branstad in her lieutenant governorship. Some have wondered if it’s risky to pluck a senator out of a swing seat that’s currently up for reelection, possibly making it tougher for Democrats to regain the Senate (or possibly not). But I think it’s a good thing that they’re not trying to cautiously play the long game, assuming that Hubbell is going to win the governorship outright. 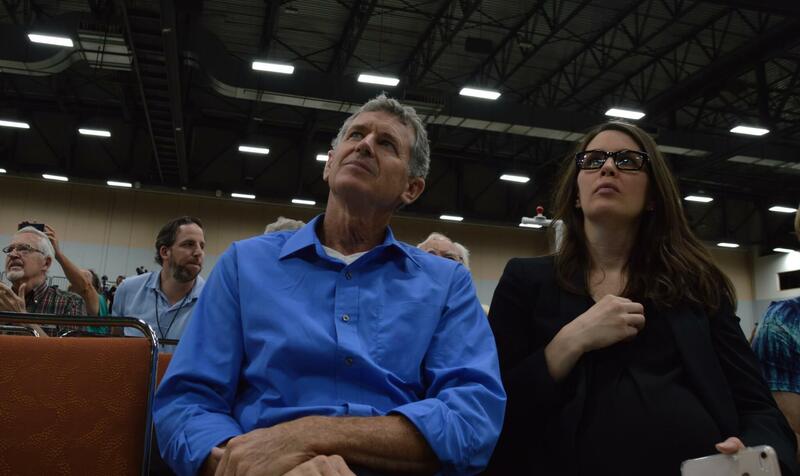 Hubbell put the best person for the job (and the campaign) on the ticket with him; they can figure out how to get a majority in the Senate later, which was an extreme long-shot to do this year as is. The biggest task right now is to just win Terrace Hill and keep more awful Republican legislation from happening. Rita will be a big asset in doing just that. Sure, not a lot of voters make their choice based on the Lt. Governor candidate, but Rita’s role as a farmer and rural Iowan will help the entire ticket in its outreach to areas that went dark red in recent years. So, stayed tune to the race. When you get a chance to go see Rita at an event, take it. Democrats have an incredibly exciting, diverse and experienced statewide ticket this year. We can only hope that the political winds are at least blowing in a relatively even way in Iowa for 2018 so that we have a real opportunity to elect all these great people into office. Iowa will be a much better place if we do.